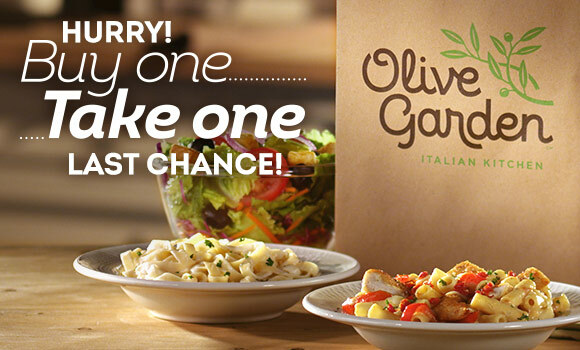 *OVER* Olive Garden - Buy One, Take One - 2 Meals for Only $12.99! Olive Garden's Buy One, Take One Deal! 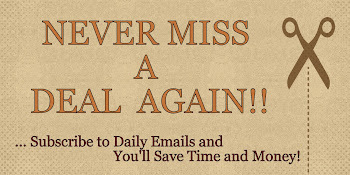 This is your last chance! Choose an entree, along with unlimited breadsticks and salad or homemade soup. Then, take home a second dish from their Buy One, Take One menu to enjoy tomorrow. Get both, starting at just $12.99! Hurry in before it's too late to enjoy two delicious dishes for the price of one! View menu here.